The halo safety device on Ferrari's Sebastian Vettel's car. It's the most controversial Formula One introduction since the 2016 qualifying elimination clock. But unlike that ill-fated change, the halo should last more than two races. Formally known as the "cockpit head protection system," the halo is proving highly divisive. Team principals, drivers and fans are split over whether it is the right safety solution when the new grand prix season roars to life in Melbourne this week. After years of research and development, FIA settled on the halo - a thong-like titanium and carbon-fibre structure above the cockpit - to protect drivers from flying debris following the fatal crashes of Jules Bianchi at the 2014 Japanese Grand Prix and Justin Wilson in an IndyCar race in the US the following year. Mercedes team boss Toto Wolff is firmly among the halo haters. "If you give me a chainsaw I would take it off," he said at the launch of the team's 2018 car last month. "I think we need to look after the driver's safety, but we need to come up with a solution that simply looks better," he added. Motor racing purists are aghast because they say grand prix racing is supposed to be an open-cockpit formula; other fans moan it is just plain ugly; some drivers have said it restricts vision. World champion Lewis Hamilton doesn't like the halo's look, but said: "We have known for some time it was coming and I think after a few races we will forget it is even there." But Red Bull's Daniel Ric-ciardo complained it makes cockpit access difficult - the Williams team even resorted to stepladders during preseason testing to help drivers get in and out of their cars. Toro Rosso driver Pierre Gasly said he had ripped several race suits. "I don't like it. It's just a big mess to get in the car and get out," he said. Haas pilot Kevin Magnussen also can't stand it. "It's difficult to get into the car, difficult to get out of the car, difficult to get the steering wheel on and off, just awkward and annoying," he said. But not all drivers are against the innovation. "It's going to save lives, no doubt," said Williams' Canadian teenager Lance Stroll. And two-time world champion Fernando Alonso believes there "should not be any debate" over a measure that improves safety. The president of governing body FIA Jean Todt said that if the halo saves one life it will be worth it. "Last year we had 42 fatalities in motor racing. That's unacceptable," Todt said in London last week. "Can you imagine how we would all feel if something happened and if we would have had the halo it would not have happened?" At least the halo has been well researched, unlike the last rule change to cause as much controversy. At the 2016 Australian Grand Prix, with barely two weeks' notice, former F1 chief Bernie Ecclestone introduced a new qualifying system that saw the slowest car being eliminated every 90 seconds in a bid to bring more edge-of-the-seat action for fans. It did the opposite, resulting in an empty track for much of qualifying, and was scrapped after just two races. 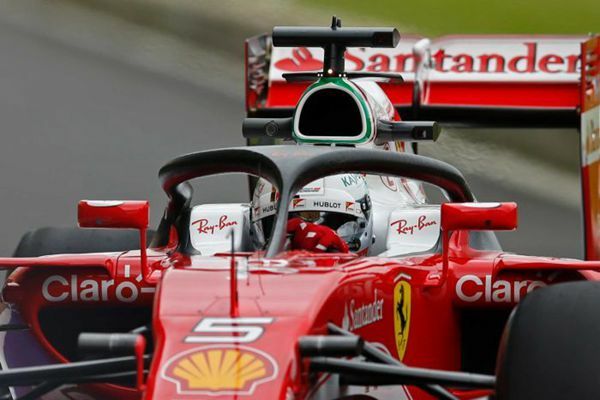 The halo should last the season at least, but Todt offered some crumbs of comfort to those who can't stand the sight of what resembles a bent scaffolding pole above the driver's head. "If we are able to find something better, I am sure we will be able to over the years," said Todt. Alonso agreed: "Aesthetics aren't the best at the moment, and in the future I'm sure that the sport will find a way to make it a little bit nicer."